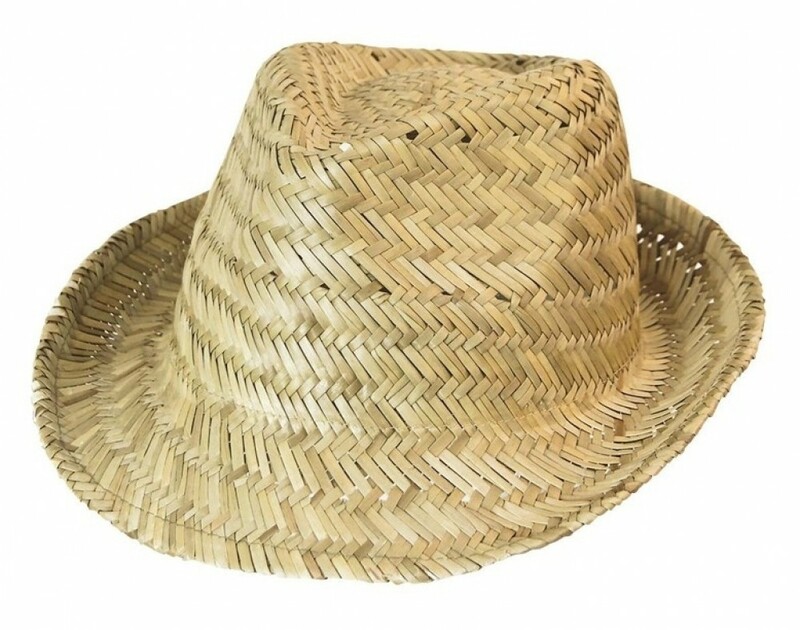 A classic Fedora style hat made from real straw makes a great promotional item to offer to clients who attend your outdoor function. It is an eco-friendly product that is bio-degradable adding a feel-good vibe to your marketing campaign. Guests will be delighted to wear these stylish hats and they are suitable for men, woman and children. The hats are super lightweight and do a great job of shielding you from the harsh sun's rays. The colour is a natural straw that will compliment any outfit. To clean, first remove the band if possible and lightly wipe with a damp cloth dipped in warm suds and then allow to air dry. Do not soak the hat or cause it to get too wet as it may lose its shape. Our hats are offered with a choice of bands. We have a large range of colours and you are sure to find one to enhance or contrast with your corporate logo. Full colour direct print available at additional cost. Please ask!